Plugins Language Switcher WordPress plugin allows to use different language (from WordPress default one) for WordPress back-end interface. It is useful for example if your blog front-end configured as Spanish but you (or your blog editors and authors) wish to work at back-end with their native language, e.g. English. Another variant of this plugin usage is other plugins translation testing without change of the whole blog language WPLANG constant value. This plugin shows in the language selection drop down list all languages which you have in blog wp-content/languages and wp-content/plugins directories. It is possible to setup different back-end languages for different users. Plugin stores selected language value locally on user’s computer using cookies. The latest version: 1.4.4. Click the Download button below if you wish to try it. Attention! Starting from version 1.1 plugin works with WordPress 3.0 and higher only. For earlier WordPress versions use plugin version 1.0.2. You can find “Plugins Language Switcher” plugin settins page under “Tools” WordPress submenu. Just select the language from drop down list, click Update button and work with plugins in your admin dashboard with language you selected. if you wish to help me with this plugin translation I very appreciate it. Please contact me via Contact form and I will answer you by email. Do not forget include your site link in order I can show it with greetings for the translation help at shinephp.com, plugin settings page and in this readme.txt file. If you have better translation for some phrases send it to me. You are welcome! You are welcome! Help me in the bug hunting, share with me new ideas about plugin further development, contribute to the source code and link to your site will appear here. – Hindi translation is added, thanks to Love Chandel. – I extended plugin’s users base. While administrators only used this plugin earlier, any registered user with ‘edit_posts’ capability can use “Plugins language switcher” now. Starting from version 1.4, look for “Plugins language switcher” menu item under “Tools” submenu. – Lithuanian translation is added, thanks to Vincent G.
– Files with just the language code in the file name, e.g. ru_RU.mo are detected correctly. – Plugins Language Switcher itself uses selected language for its interface. – Plugin uses cookie to store selected language locally at the user computer. This way different administrators could use different languages. – Chinese translation is added. – shinephp.com RSS feed is removed from the plugin settings page. – Georgian translation is added. – Slovenian translation is added. – WordPress function get_currentuserinfo() is used by plugin more correctly to exlclude possible conflicts with other plugins. Early loading of ‘pluggable.php’ is excluded. – Bug (“Fatal error: Call to undefined function wp_get_current_user() in …/wp-content/plugins/plugins-language-switcher/plugins-language-switcher.php on line 134”.) is fixed. Thanks to Alessandro and Siggi for discovering that. – Plugins Language Switcher is multi-user now. It stores selected language locale with the user ID (user, who changed it), together. So every admin can work with plugins in his own language. – Uninstall cleanup feature (uninstall.php) is added: plugin deletes all its data from WordPress database when you delete it via WordPress. – Minor code cleanup at plugins-lang-switch_options.php lines 54, 57. Full PHP markup <?php is used there now as it should instead of short form <? – Italian translation is updated. – Any staff deprecated in WordPress 3.0 is excluded and changed to the actual one. Plugin is fully compatible with WordPress 3.0 now. – Dutch translation is added. – The bug which prevented valid plugins available languages list build in some cases is fixed. Usage of not existing constant in pluginslangswitch_scanPluginsDirectory() function caused that. – information section is re-arranged. – 1st pre-release of the “Plugins Language Switcher” WordPress Plugin. How to add new language to your plugin? There is no need to make anything manually. If you have in your /wp-content/plugins/ directory translation file for language you search way to add to Plugins Language Switcher drop down list, Plugins Language Switcher will show that language in the language selection drop down list automatically. I am ready to answer on your questions about this plugin usage and help with possible problems. 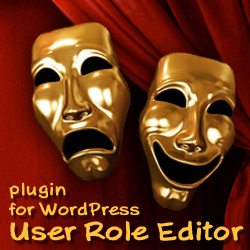 Use Plugins Language Switcher plugin forum or this page comments and site contact form for that please. This entry was posted on Monday, May 10th, 2010 at 08:56	and is filed under ShinePHP WordPress Plugins, WordPress. You can follow any responses to this entry through the RSS 2.0 feed. You can skip to the end and leave a response. Pinging is currently not allowed.